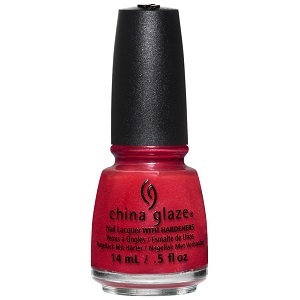 China Glaze Nail Polish, Y'all Red-y for This?, 1476, .50 fl. oz. Bright, vivid red shimmer nail color.